After a long day at work, hunker down on this luxurious, London Gray Chenille Chair. 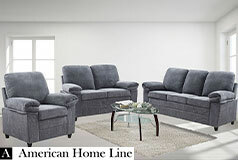 It features comfy seat cushions and supportive pillow arms — perfect for watching TV or reading a great book. Unlike other chenille fabrics, the luxury edition is blended with more cotton fibers. With a higher cotton count, the fabric is more durable, plus it’s also softer to the touch. It’s made with high quality craftsmanship. The seams have all be re-enforced to prolong the life of your cushions and the frame is made from sturdy, furniture-grade wood. 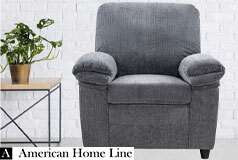 The London Gray Chenille Chair works in any room. Perfect for a reading nook, in the bedroom or part of a living room set. This roomy club chair will be one of your favorite places to relax in. Chenille looks and feels velvety soft for a sumptuous appearance. 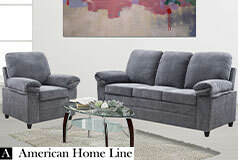 Get comfortable on the easy-to-maintain, gray-colored upholstery fabric.